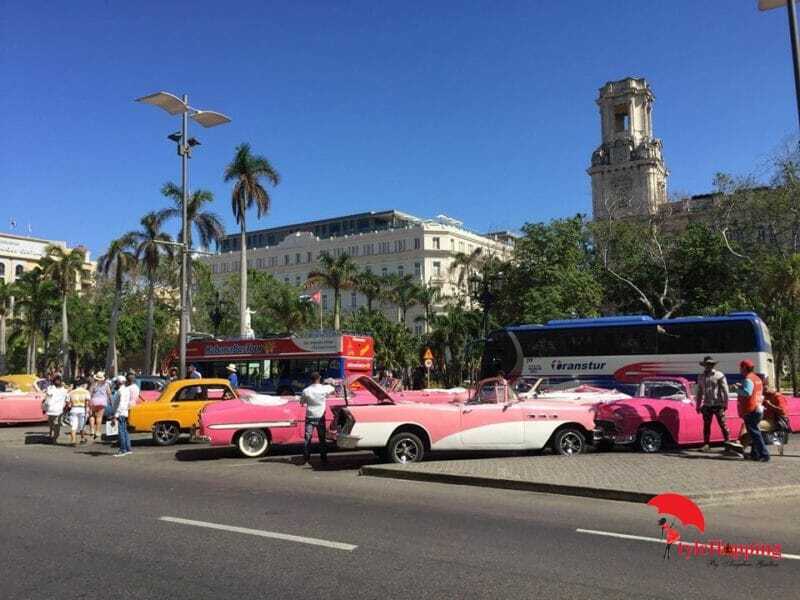 Planning to go to the beach in Havana? This guide will take you there! Just 20 minutes away from Central Havana, the sand and the beach awaits for you. 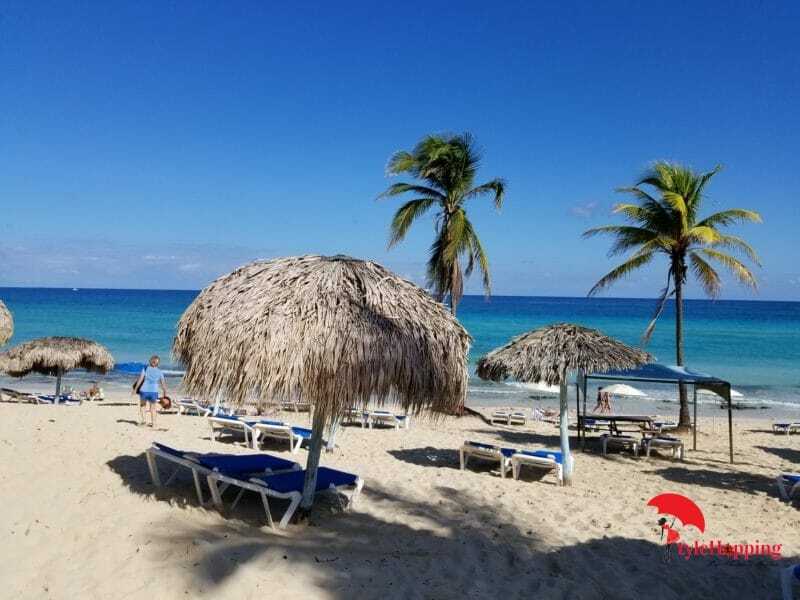 Havana beach called Playas del Este consists of a stretch of 6 miles of fine sand and pristine blue water with coconut trees, Cuba resorts, and aquatic activities. 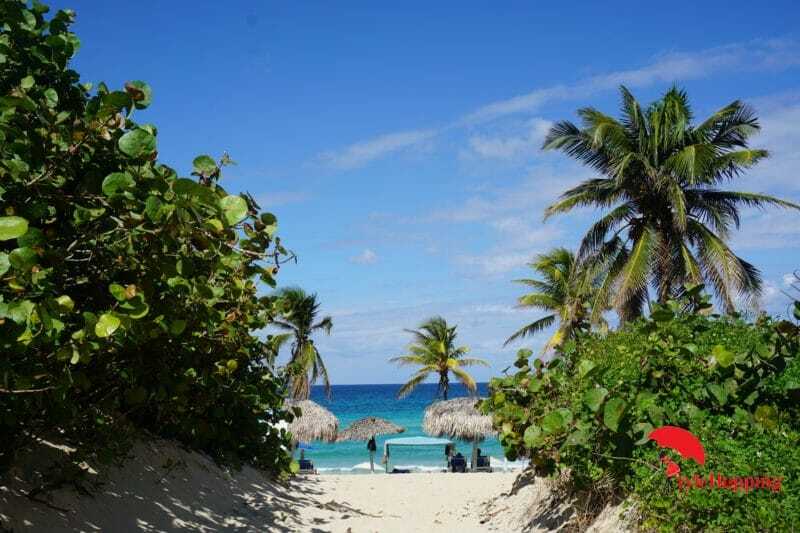 Also, relaxation and serene waves are part of the package offered when you visit Santa Maria del Mar Beach in Cuba. The first step to planning your Cuba beach day is to arrange/search transportation. The best transportation to go to the nearest beaches in Havana is the Transtur busses. 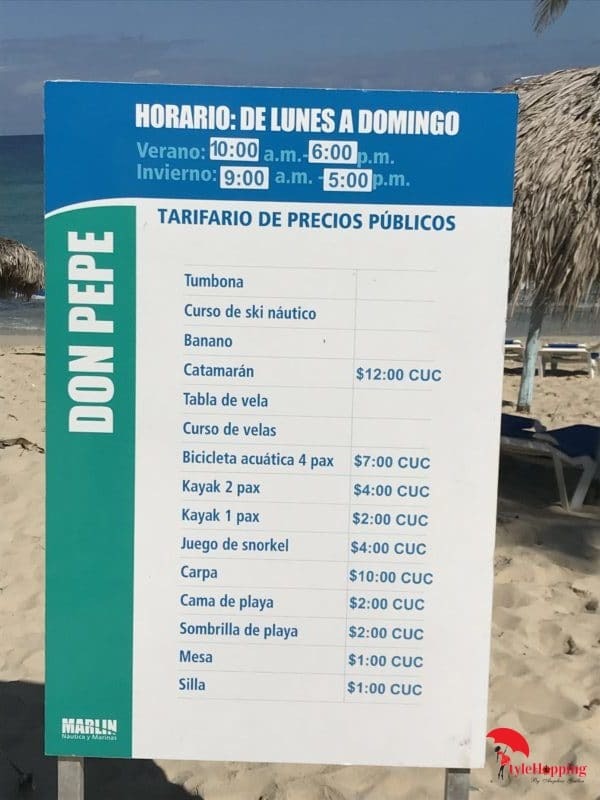 You can also take a taxi, but it is expensive ($40 CUC roundtrip). 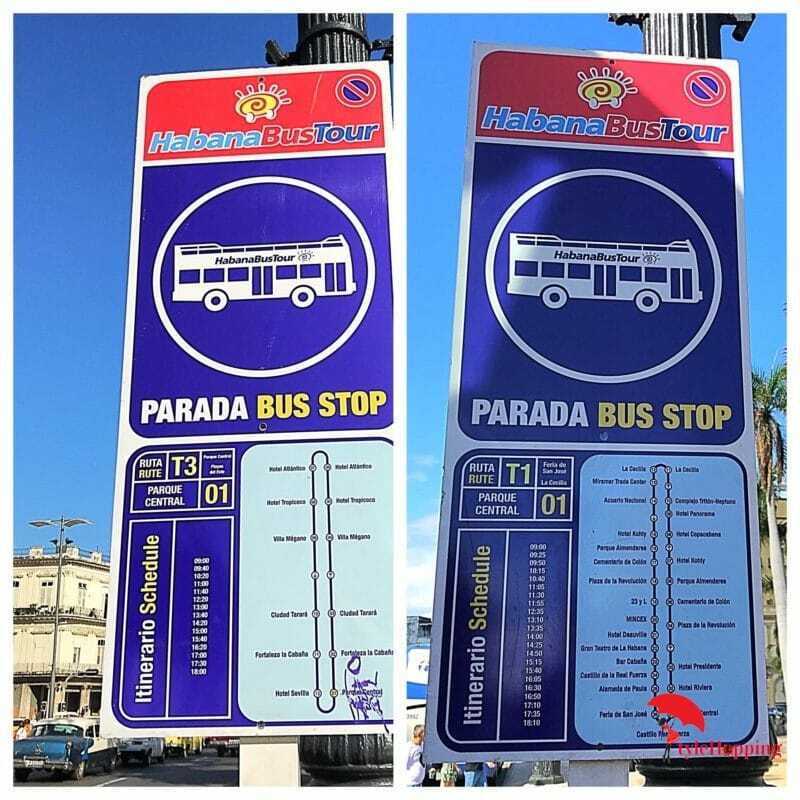 If you are staying in Old Havana or Central Havana you can easily walk to the bus stop located in front of Central Park (Parque Central). 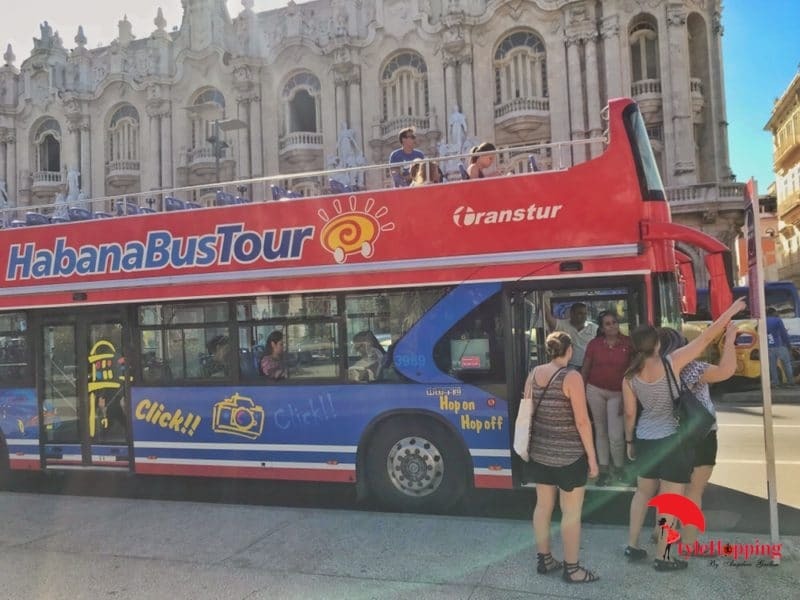 You will find two types of Transtur buses: Route T1, A hop on/hop off double-decker bus which takes you around Havana’s most important landmarks ($10 CUC roundtrip) and Route T3, a blue and white bus with AC that will take you to Playas del Este ($5 CUC roundtrip). It will depart at 9:00 am and every 40 minutes after until 6 pm. The first stop is Fortaleza San Carlos de la Cabaña, a fortress which extends more than 25 acres and it functions as a museum, open daily from 9am-10pm. The second stop is a peaceful spot, but with little entertainment. 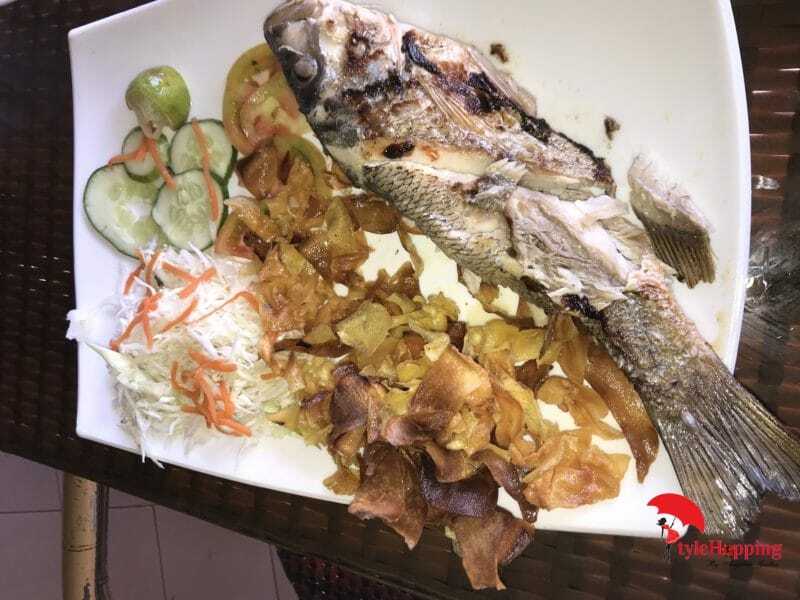 Playa Santa Maria del Mar is the last stop on the route, and it is considered the best Havana beach, lined with coconut trees, restaurants, hotels and sports rentals available. 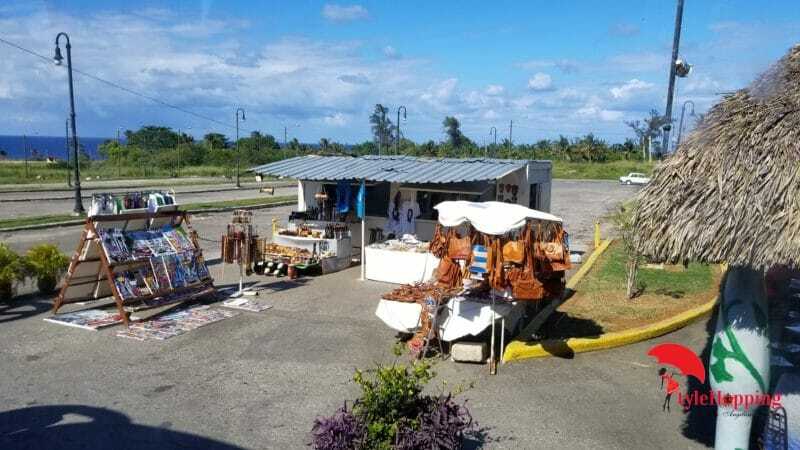 Right at the entrance where the bus drops you off, you will find a small kiosk selling $1 CUC piña colada and coconut water with rum and natural juices. I highly recommend it to cool off the heat of the day. 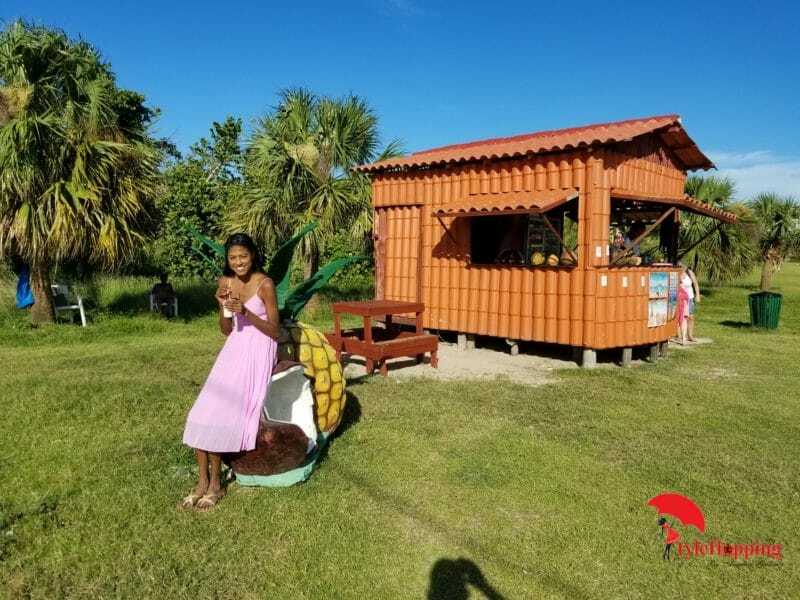 Along the beach, you will find chairs, tables, and umbrellas for rent, as well as aquatic equipment (Kayak, snorkel) at very affordable prices. Some Havana tours offer this beach day trip but honestly, you can save a few bucks and plan it yourself. 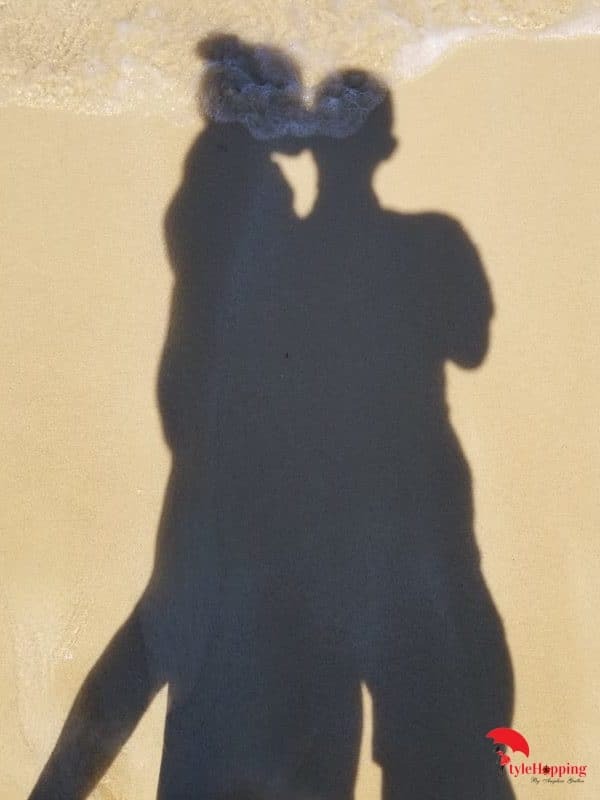 All the rentals and services and the beach are available Monday to Sunday from 10am to 6pm. I recommend you arrive early to avoid crowds and to find a good spot to lounge. You can also order food from the vendors/hotels in the area. 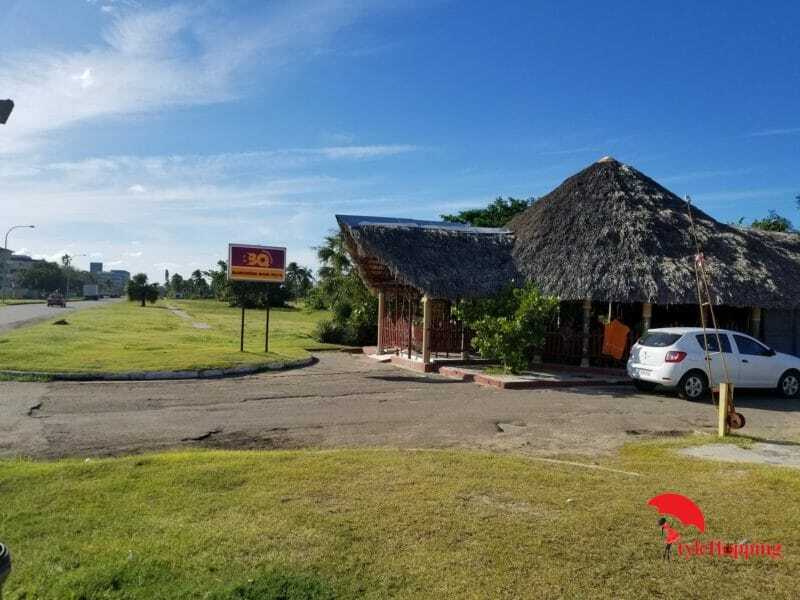 I visited a restaurant right at the entrance (Parrillada Rancho Don Pepe), and the food was delicious and inexpensive ($10 CUC for fish). If you arrive early, you will have sufficient time to have a great time at one of the best beaches in Havana. The last bus back to La Habana leaves at 6 pm from the same drop off spot. Don’t forget to bring a hat, sunglasses, and SPF to protect you from the sun. I love swimsuits! Make sure you bring with you 1 to 2 options. The crochet two pieces I am wearing can be purchased in Amazon.com; you won’t believe how much I paid for this, check it out here. If you prefer to wear one piece, you can find a similar swimsuit style. 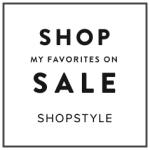 And a cute hat will complete your outfit, check a selection from Amazon.com. 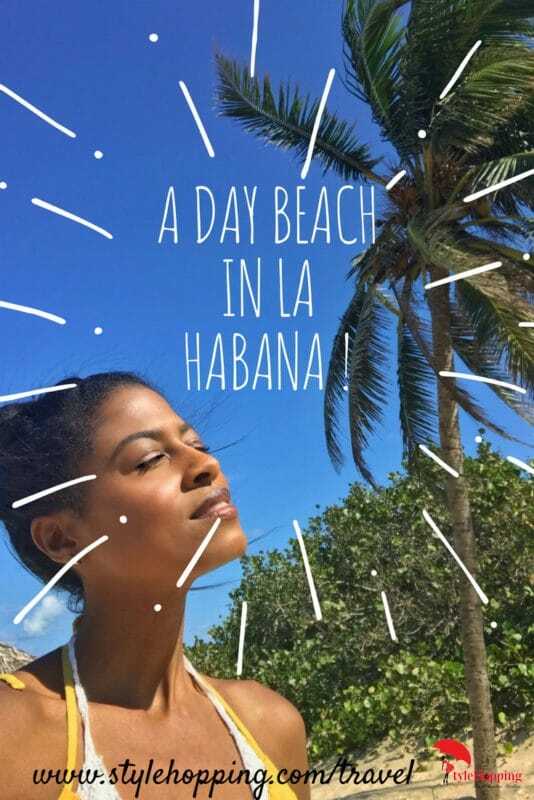 Have fun and enjoy your day at the beach in La Habana! Disclaimer: I know the correct spelling of La Habana (with a b) but for SEO purposes I have to write it as how mostly engine identify it; Havana. Not too outdated for a donation.